Pain covers many conditions. In the muscular-skeleton system, it could just be simple back pain, strains and sprains. Most acute pain happens directly after injury.Chronic pain, on the other hand, usually arises over time and could indicate different sorts of disorders, such as neurological problems. Traditional Chinese Medicine believes that pain results from a blockage of energy (qi) and circulation (blood). It disrupts functions and leads to short or long term imbalances. Therefore, treatment focuses on removing the blockage to stop pain. With the safety of pain relievers being questioned, Acupuncture becomes an excellent treatment for a broad range of pain. Furthermore, acupuncture is covered by ACC and is an important modality in the treatment of large numbers of injuries in NZ. The pain relieving effects of acupuncture are well-established and backed by current research. It can regulate endocrine system and also address the cause of pain by improving the body’s immune response to speed up the repair of injuries. 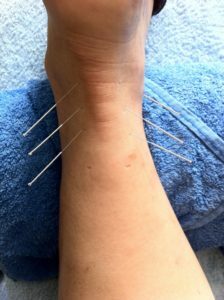 Moreover, acupuncture has a natural anti-inflammatory effect that helps reduce swelling and stiffness. A review of acupuncture for lower back pain in the medical journal “Spine”, involving over 6000 patients, concluded that there is strong evidence acupuncture effectively treats lower back pain. Acupuncture was also found to reduce pain and improve function and movement among patients with osteoarthritis in the knee when used with other treatments. Auckland eastMed acupuncture offers treatments for the following conditions: Muscles sprain or strain; Neck, Knee, back pain or stiffness; Periarthritis of shoulder; Tennis or golf elbow; Sciatica; Rheumatoid arthritis; Gouty arthritis; Osteoarthritis; carpal tunnel syndrome, etc. For more information, please contact Auckland eastMED acupuncture. We can discuss if acupuncture will benefit your condition.